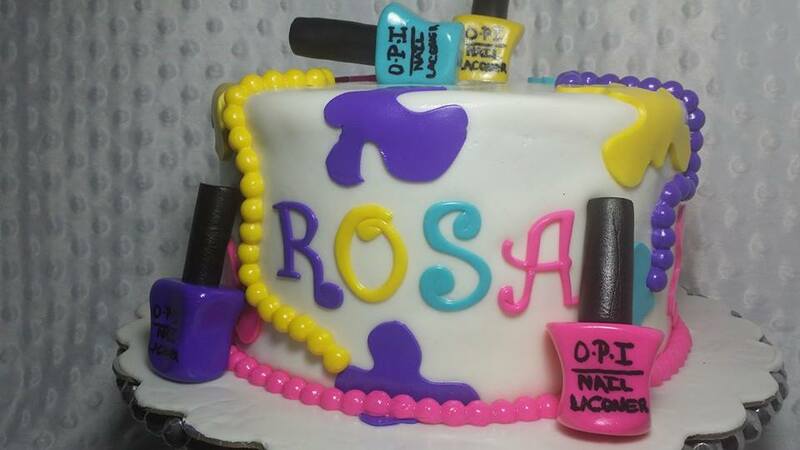 ...and this ladies is how a polish addict has her cake! I never in a million years expected such a beautiful birthday cake. I swear I felt like such a princess. It was almost too beautiful to cut into and eat! I say almost cause once I found out it was red velvet on the inside I demanded a knife, haha. 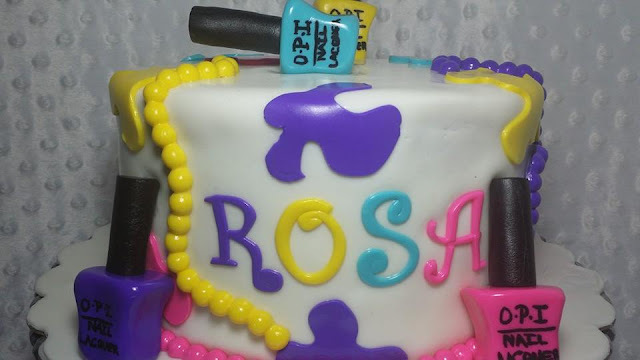 Just in case you're curious, 'Rosa' is my birth-name which my family calls me. I much prefer Roselynn though and will be getting a legal name change in the near future. Queue the rainbow 'The More You Know!' Ha. The paint splats are so creative and cute. Don't even get me started on the little OPI polish bottles. My dad ended up taking a bottle and biting into it. Now that was a sugar rush! Amirah did a fantastic job capturing my personality and my passion for nail polish and incorporating it into my cake. And, of course, I have to thank my best friend Adam. There is no one who knows me better than you and I don't know what I would do without you in my life. Thank you both for making this birthday even more memorable. Any of my fellow polish addicts thinking of getting themselves a polish birthday cake now? You can check out Amirah's other gorgeous creations on her facebook page https://www.facebook.com/AmirahImageEvents. If you're in the New Jersey area I highly recommend checking her out! Not only was the cake a visual beauty, but it tasted amazing. Best red velvet I have ever had. **All photos in this post are courtesy of AmriahImageEvents. 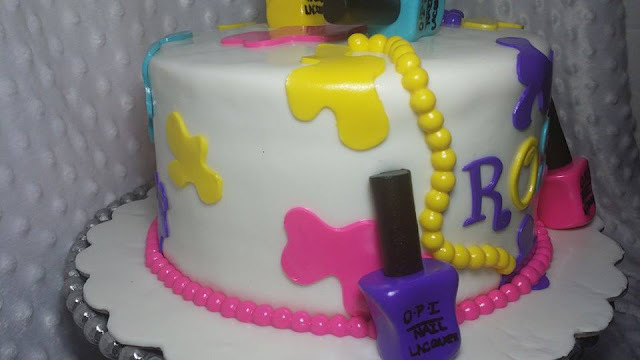 I had a polish cake last year, but yours is so fabulous!! What a great friend to do that for you! It is way to adorable! I love it. What a great friend you have! aww 28, you're a wee babe! Happy Birthday! Happy Belated birthday! Love this cake. I'm a little sad I didn't have a polish cake now. Happy Birthday!! That cake rocks!!!! This is so awesome! What a great friend you have! Happy belated birthday! Happy Birthday! What a fab cake! Yup. 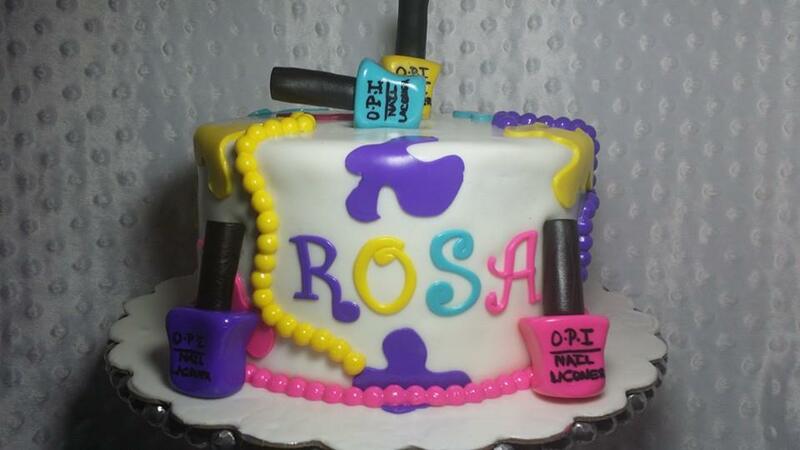 I definitely need a cake like this for my birthday! Your best friend is awesome! Aw! That was such a sweet gesture, it's a beautiful cake. Happy belated birthday!